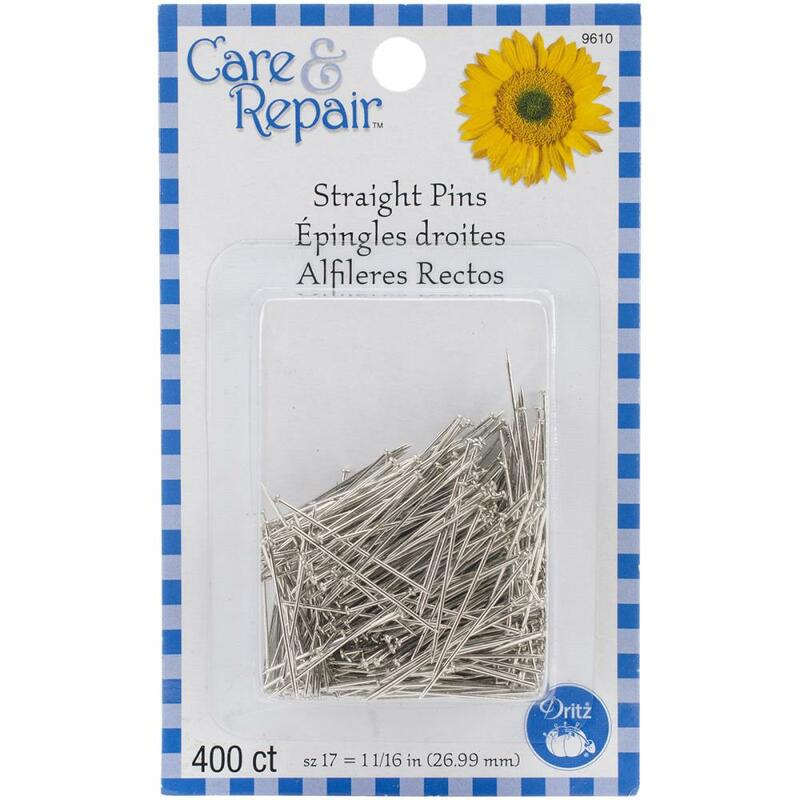 Dritz-Straight Pins. Ideal for hemming, basting, quilting and is convenient for machine stitching. This package contains 400 size 17 straight pins made of nickel plated steel.